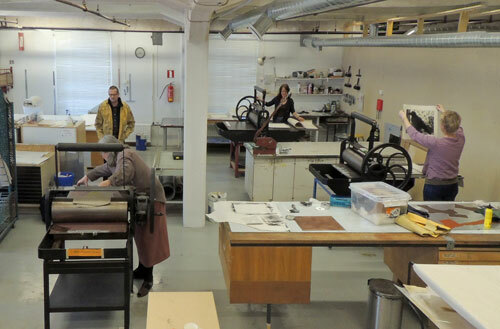 The members have a possibility to work with different printmaking techniques and currently the equipment includes two intaglio and one lithography press. The association is also considering to acquire equipment for newer techniques. Courses for both members and amateurs as well as the association’s meetings are held in the studio.